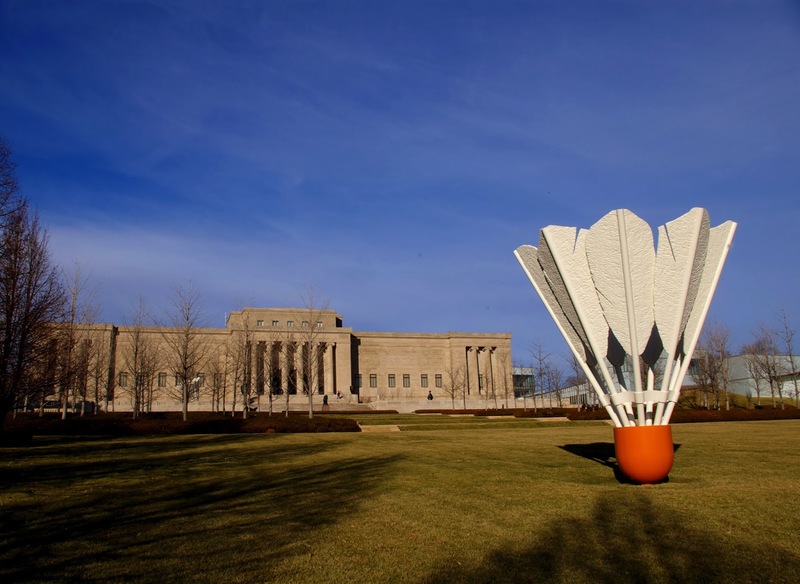 EdcampKC was held at the Nelson-Atkins Museum of Art in Kansas City on November 9th. About 300 educators from Kansas, Missouri, Nebraska and even Colorado got together to learn from each other. Edcamp is a professional development that doesn't have formal presentations. If you have a topic you would like to share or know more about you sign up on large sticky paper for a time slot and classroom. I had planned on sharing Augmented Reality so I kind of went prepared. I brought some items that deal with Augmented Reality with me. 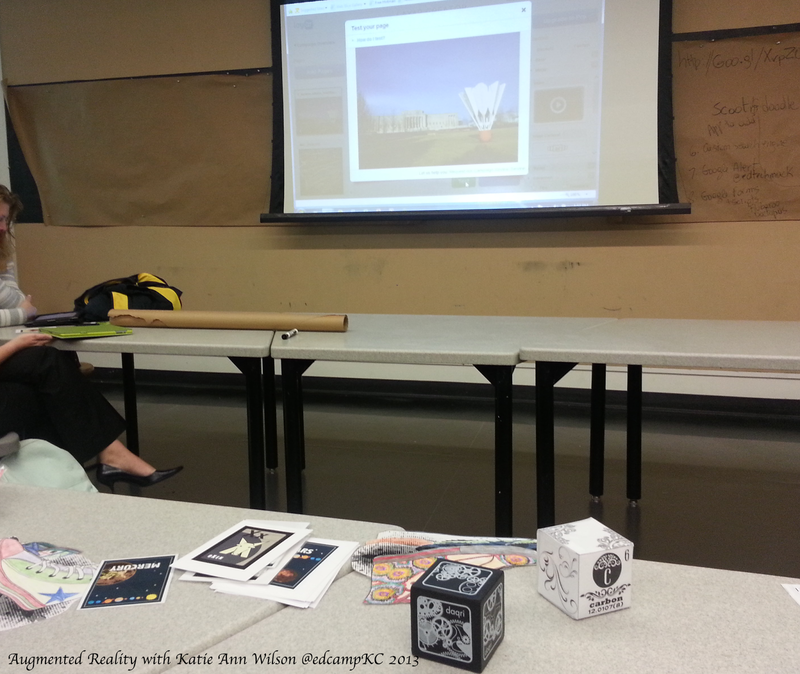 After I signed up to lead a discussion about Augmented Reality I sat down and made EdcampKC-NelsonAtkins into an AR trigger. EdcampKC offered lots of choice to pick from. If you didn't like or thought the session you went to didn't fit your needs you could get up and move to another session. You vote with you feet. There were tons of educators that had never participated at an Edcamp before. Kyle Pace's mom even made 100s of cookies for all of use to enjoy. The experience was great and I learned from lots of people and I hope at least a few learned from me. 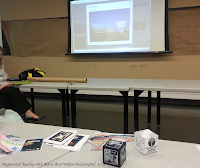 I shared several of my experiences from Edmodo, Green-Screen projects, Global Project, and of course Augmented Reality. If you took notes during my AR session please feel free to share with me. AR Flashcards & Space Cards - You need to print out their cards to use with the app. colAR App - You need to print out their coloring pages to use with the app. DAQRI - Has the interactive blocks/cubes. Layar App & Layar Creator - Create your own AR projects. During the last session I went on a tour of the Nelson-Atkins Museum of Art. The photographer in me broke away and ended up exploring the museum with my husband. All in all it was a great day and I really enjoyed connecting with other educators that have the same passion as me, to be a life long learner. I am still working on editing my photos.